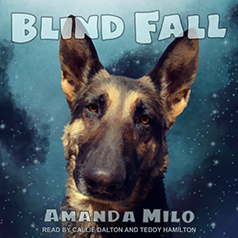 Amanda Milo presents Book 5 in the Stolen by an Alien series. Contains mature themes. I was gifted as a slave-bride to an alien giant. That's the start of my day. At least I have my guide dog, Kota, with me. I'd be lost without her . . . literally. And our new alien owner is kind enough that he's not holding me to the wife or slave deal even though that's what I was intended for. We've basically been dropped into a scene from Little House on the Alien Prairie, complete with his one-room cabin, and he's been the perfect gentleman. He's pretty great, and I'm actually starting to wish I could take him home with me. He doesn't know it yet, but the threat of him going into "rut" is no longer a deterrent . . .Contains mature themes.